Research topic: Introduction of new detergent at Swetha Pty Ltd. The topic of the research has been chosen as it has a pivotal significance for the purpose of the growth of business. Introduction of the new category of detergents in the business can make the company perform better in the market. Swetha Pty Ltd. is an organization situated in Australia, dealing in the business of providing manpower for the technical services. The company is engaged in providing services majorly to the railways. The rail safe working staff as provided by the company works for the maintenance of the railway services of the New South Wales. Swetha Pty Ltd has become one of the major names among the suppliers of the manpower and other kind of services to the railways and make the railways to perform effectively in the completion of the projects. Along with the business enterprise of providing manpower to the railways, Swetha Pty Ltd has also been engaged in the vegetation management. In the competitive world, the company has built the reputed position in the service providing industry for railways by hiring the skilled workers efficiently and building the strong base of staff in order to outperform as compared to the other firms in the similar category. The current projects of Swetha Pty Ltd consist of the train cleaning at Sydney and for that reason, a research project has been conducted to gather the information about the launch of new detergent for cleaning. For the purpose of the research, the information has been gathered by the clients of Swetha Pty Ltd. which are the authorities of railway and the data which has been collected determine the need of improvising the cleaning in the trains. The research is conducted on the introduction of the new detergents by Swetha Pty Ltd. in order to improve the business of the organization. The product development make the company competitive in the market by expanding and diversifying the product and the market of the company (Hird, et., al.,2016). According to Kangal, (2015), innovation in the products is the strategy adopted by the companies to generate high revenues and sales. The value for the brand increases among the customers with the addition of the new features in the existing products or introducing new uses of the product. These innovation techniques as adopted by the organizations benefits the company to gather the large share of the market. The innovation strategies include the introduction of advanced technologies along with the core competencies that the organization develop to attract more and more customers. Research studies are undertaken by the organization to study the trends in the market and develop the products accordingly (Kanagal, 2015). According to Bhuiyan, N., (2011), the development of a new product in the company is the determinant of the success of the business of the concerned organization. The introduction of the new products make the company expand the business by adding new products in the business portfolio and enlarging the market segment in order to grow the business on the global platform. The development of a product that is new bring several opportunities for the organizations and various steps are involved in the product development that consist of the process of gathering the information and evaluating the data collected and accordingly draw conclusions and recommendations. The steps are, new business strategy, generation of idea, evaluation of the idea, analysis of business for the research purpose, design and development, testing and commercialization. The development of new product also brings certain issues to the organization regarding the chances of success of the new product in the market and the organization need to deal with these issues in the effective and efficient manner so that the goals and objectives of the organization can be attained (Bhuiyan, 2011). Satisfaction of customers: With the introduction of new product, the demands and the trends of market can be met which can result in satisfying the customers. in the case of Swetha Pty Ltd. the introduction of new detergent can satisfy the Sydney railways which is its client, in cleaning the trains effectively as per the requirements of the client. Value to clients: The clients of the company can get the value products through the added category of the products and services from the company. Sustainability: The new product development can bring the sustainable business approach in the organization. The company can develop the core competencies which can enhance the chances for the organization behavior to hold the reputed position in the market. Expansion and diversification: With the introduction of new detergent, Swetha Pty Ltd has the opportunity to expand and diversify the product and market for the company which can result in generation of higher sales and profits. The introduction of the new detergent in Swetha Pty Ltd will make the company serve the client of Sydney in the project “Train cleaning for Sydney trains”. As the main objective of the company is to satisfy the customers, innovation in the products can serve the company the required competency for growth. The research has been conducted to study the significance of introducing a new detergent at Swetha Pty Ltd for cleaning the Sydney train. The research question is, how the introduction of new detergent can stimulate the business of Swetha Pty Ltd. The data for the research has been collected from the primary as well as secondary sources of data collection. The primary source for the data collection is the source where the information is gathered from the clients directly about their perspectives regarding the introduction of new detergent in Swetha Pty Ltd. On the other hand, the information is collected from the already published data in the form of articles, reports and the financial statements of the company for determining the need for the introduction of new detergent for the betterment of the organization (Bhaskar & Manjuladevi, 2016). The approach that has been used for the research is the mixed approach in which the data has been collected in both the qualitative as well as quantitative form. The qualitative data is the data that is collected from the primary source in which the questionnaire is presented to the clients to know their views on the launch of new detergent and the quantitative data is collected from the secondary sources and which are measurable in numeric terms. The aim of the research study is to analyze the significance of introduction of new detergent at Swetha Pty Ltd to improve the business. To determine the importance of product and service innovation in organization. To identify the need of introduction of new detergent at Swetha Pty Ltd.
To analyze the perspectives of client towards the introduction of new detergent for cleaning trains. The research has the limitation concerning the scope of information that can be collected from the client and the reports of the company as the business of the company is so diversified that the recognition of the importance for the introduction of a detergent in cleaning train on the business of entire organization is difficult task. The technique used for the collection of data is the random sampling technique in which the sample of the clients who attain the services of Swetha Pty Ltd, in train cleaning. In the random sampling technique, the questionnaire has been provided to the clients to gather the responses and the sample size is ten. The research study that has been conducted is reliable as the data collected for the purpose of the research is collected from the relevant sources and the references of the sources are also mentioned in the report. The action plan and gantt chart has been prepared for the purpose to determine the time period for the completion of task associated with the research study so that the research completes in the time allocated for each task. Planning of research: The topic of the research has been selected considering the influence of the product innovation on the success of the business of the organizations. Planning of the research is done in the first step and the data is collected accordingly. Collection of data: The data has been collected with the help of published data in the form of magazines and the reports of the company as well as from the responses gathered through the questionnaire. The information that is attained from the article of the company can provide the understanding of the popular services of the company that cover the major portion of revenues and can determine the scope of new product. On the other hand, the primary data collected can determine the perspectives of the client who are availing the services of Swetha Pty Ltd in cleaning the trains mainly in Sydney. Analysis of data: As the data is collected, that will be analyzed and evaluated. The analysis of data can provide the clear picture of the data that has been gathered for research. Conclusion: Based on the analysis of the data collected, conclusion can be developed and recommendations can be provided to the company concerning the introduction of new detergent. The conclusion drawn will make it easy to recommend the company to involve in the product development to enhance the scope of market. The data for the concerned research has been collected from both the sources of data collection and in the quantitative and qualitative method. The data that is being collected will be analyzed on the basis of the responses collected in the conduct of the primary research from the questionnaire and the information collected from the secondary source. The analysis will be presented in the graphs and charts for the establishment of better understanding of the information. Accordingly, the recommendations can be made to Sweth Pty Ltd regarding the introduction of a new detergent category in the portfolio of the products and services of the business which can help the company to stimulate the operations and as a result improve its business (Ahmed, et., al., 2012). The introduction of new detergent in the commercial cleaning detergent category in the company that has been engaged in the business of services to the firms with the manpower provided by the company can gain the competitive advantage in the market. 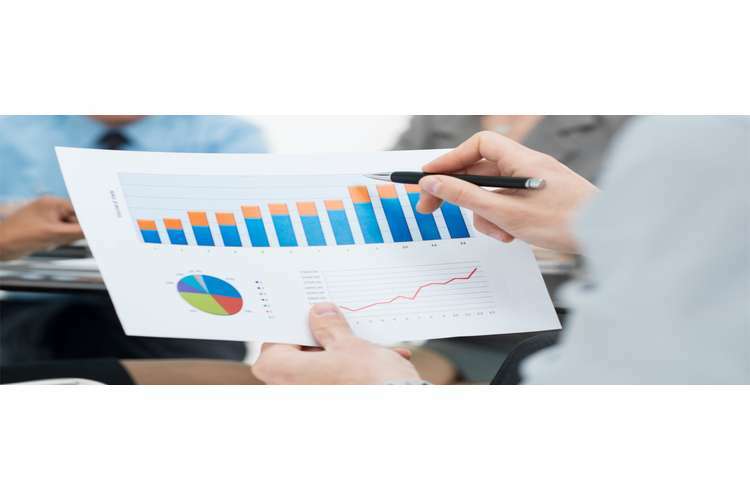 The research outcomes can be gained by the evaluation of the data and information gathered and the significance of the product expansion can result in the growth in the business and improve the share in the market. The research outcome can recommend the company to focus the efforts on the resources which can help in the development of a new product with attractive features that can enhance the efficiency of operations management provided by the company to its client. The recent projects of Swetha Pty Ltd. includes the Train cleaning in Sydney railways and for that the company can be recommended according to the several responses gathered through the research. It can be recommended to the company to expand the business and introduce the new category of detergent as there is demand for cleanliness in the trains and keeping the present scenario of the competitive world, there are several firms which are operating in the similar business industry and which are the direct competitors of Swetha Pty Ltd., for the purpose of which the company need to introduce the new product in the market (Gmelin & Seuring, 2014). This checklist is designed to alert you to your ethical obligations when you conduct research involving human subjects. These questions must be answered when a research project is proposed and before a research project is implemented. Attach the completed checklist to your final research proposal in week 12. Will the human subjects be informed of the nature of their involvement in the collection of data and of features of the research that reasonably might be expected to influence willingness to participate? Will the human subjects in your study be aware that they are the targets of research? If the subjects are underage, will their guardians be asked to sign the consent form? Is the confidentiality of the human subject’s identity positively ensured? someone other than the researcher, is the subject's right to withdraw his/her data respected?Will the researcher fulfil all the promises made to the human subjects including providing the summary of the findings upon request? Will all necessary measures be taken to protect the physical safety of the human subjects from dangers such as faulty electrical equipment, poor grounding, lack of oxygen, falls, traffic & industrial accidents, possibility of hearing or vision loss etc.? Will the human subject be debriefed (told the true nature of the study) after the data has been collected? In cases in which the human subject is dissatisfied or a complaint about the researcher or procedure, will the researcher explain to the human subject that he or she may express this complaint to the Subject Coordinator? Does the study involve concealment from and/or deception of the human subject? Will deception be used in order to obtain agreement to participate? Will the study involve human subjects who are legally or otherwise not in a position to give their valid consent to participate such as children, prison inmates, mental patients? Will information on your human subjects be obtained from third parties? Will any coercion be exerted upon subjects to participate? Will the study involve physical stress to the human subjects such as might result from heat, noise, electric shock, pain, sleep loss, deprivation of food and drink, drugs, alcohol? Will the study cause any mental discomfort to the human subjects such as fear, anxiety, loss of self-esteem, shame, guilt, embarrassment etc.? Could publication of the business research results possibly interfere with strict confidentiality? Could publication of the research results possibly harm the human subject either directly or through identification with his/her membership group? Are there other aspects of the study that may interfere with the protection of the being of the human subjects? Ahmed, R.R., Kazim, S.S. & Arif, A.A. 2012, "NEW PRODUCT DEVELOPMENT: STRATEGY & IMPLEMENTATION MECHANISM BASED ON PRIMARY & SECONDARY DATA RESEARCH", Interdisciplinary Journal of Contemporary Research In Business, vol. 4, no. 6, pp. 1034. Bhaskar, S. & Manjuladevi, M. 2016, "Methodology for research II", Indian Journal of Anaesthesia, vol. 60, no. 9, pp. 646-651. Bhuiyan, N., 2011, “A framework for successful new product development”, Journal of Industrial Engineering and Management”, pp. 746-766. Connelly, L.M. 2015, "Research Questions and Hypotheses", Medsurg nursing : official journal of the Academy of Medical-Surgical Nurses, vol. 24, no. 6, pp. 435. Doody, O. & Bailey, M.E. 2016, "Setting a research question, aim and objective", Nurse researcher, vol. 23, no. 4, pp. 19. Gmelin, H. & Seuring, S. 2014, "Determinants of a sustainable new product development", Journal of Cleaner Production, vol. 69, pp. 1. Hird, A., Mendibil, K., Duffy, A. & Whitfield, R.I. 2016, "New product development resource forecasting", R&D Management, vol. 46, no. 5, pp. 857-871. Kanagal, N., 2015, “Innovation and product innovation in marketing strategy”, Journal of Management and Marketing Research, Vol.18, pp. 1-16.